There are many terrible and devastating aspects to the lionfish invasion of the western Atlantic waters but there is also one positive by-product which we can highlight and take advantage of. Because the invasive lionfish hails from the Indo-Pacific region it also thrives in the warm clear waters of the Caribbean Sea, home to countless magnificent tourist destinations already prepared with dive boats and dive guides to take us lionfish hunting. There is no doubt that we all wish the lionfish had never shown up in our area, but if it is going to be here to stay we need to find ways to coexist with the invader. Tourism is a fickle mistress for many of the small island nations around the Caribbean. Locals are always needing to tread the fine line between embracing tourists for the outside dollars they bring in and dealing with the problems & side effects that they carry with them. 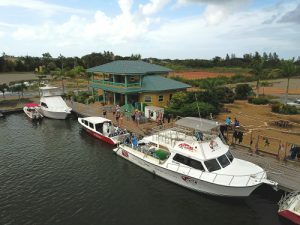 Fortunately, many of the smart governments and tour operators around the region have come to realize the win-win benefits of embracing lionfish hunting. Sure, lionfish hunting is not for everybody. 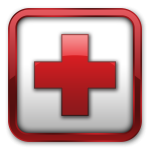 There is risk of being stung, extra gear to carry underwater, and the increased peril that comes from an additional distracting task while diving. However, for many experienced divers the rewards of cleaning up a nuisance fish from the reef, the pleasure of the hunt experience, and taking back a delicious fresh dinner for the evening far outweigh the risks. When a tour operator takes visitors out to lionfish hunt they are not only providing the normal diving services but they are also giving back immeasurably to their local marine environment. In a sense the tourists are actually paying to help the environment and having a great time doing it! 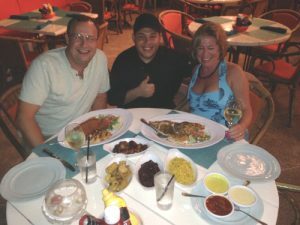 Chef Peter at Gilligans in Aruba was a little nervous about his first time cooking lionfish but he did a great job with it! As you can see on our list of places where tourists can hunt lionfish we are lucky that almost everywhere around the Caribbean a visitor can now arrange to hunt lionfish as part of their diving plans. My wife and I have personally been lionfish hunting in over 10 different Caribbean countries over the last several years and have more trips planned. Each of these trips has yielded incredible memories and quite a few amazing dinners! It’s always best to communicate well ahead of time with the local operator when planning your lionfish hunting vacation because every country has slightly different rules. Many have no restrictions at all, some require that you take a certification course, and some have distinct and strict gear requirements (such as only short pole spears). 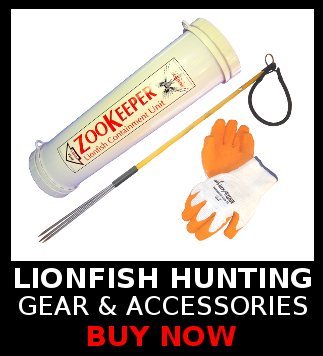 An important tip for all vacationing lionfish hunters that we’ve learned from our own experiences is that it is always a good idea to bring your own lionfish hunting equipment. For a variety of reasons such as lower income levels, high import tariffs and expensive shipping many locations with spectacular lionfish populations also lack the resources for the best gear. There are many great travel pole spear options available that fit nicely into a suitcase and we’ve also found that the small Zookeeper fits well in a bag and you can even stuff the inside of the Zookeeper with your clothes on the trip down. Best of all, I can promise that your divemaster will absolutely love you for leaving your top-notch lionfish gear with them as a tip. They score nice gear to be used on future dives and you get a little extra room in your bag on the way home for a bottle of rum or a treasured souvenir. Everybody wins!